Safety glasses that have transition lenses have become one of the most popular and widely purchases brands of glasses on the market. Transition lenses are created using a specific technology. Transition lenses that are created using Chromea7 technology are available in grey, brown, and green. Most of the people who want and need to purchase transition safety glasses are those who spend a majority of their time outdoors. Also, there are those who do not want to go through the trouble of constantly changing their glasses every time they walk outdoors or come inside. Unlike other lenses you may have experimented with, transition lenses have a variety of great things going for them. When you are indoors, your transition lenses will remain clear. What will happen when you walk outside? Your lenses will change their color. Basically, your transition lenses are able to adjust to any type of light that is thrown at them. Light has a major impact on their color changing quality. Your lenses will be able to adjust to the color in less than a minute; your lenses will fade to a certain color quicker than you will think. Did you know that if you are exposed to UV rays for a significant period of time you could develop cataracts? 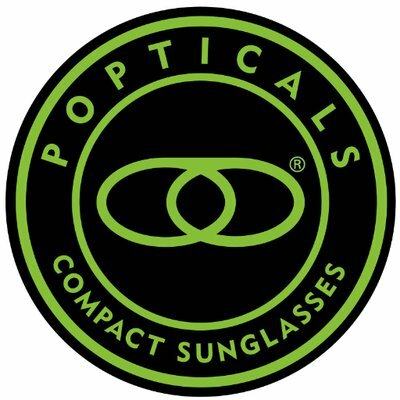 If you wear prescription eyeglasses and choose not to wear any type of sunglasses because you do not want to swap your eyeglasses for sunglasses every time you walk outside, we suggest that you wear transition safety glasses. We think you will find many advantages in the polycarbonate material because it is the safest material that you will find in glasses. However, we understand that you may be hesitant to purchase transition lenses in safety glasses. Are Transition Safety Glasses Worth It? You may be worried about the cost of the glasses, but we can tell you that you will find more benefits in transition safety glasses than you will the glasses you are currently wearing. You will not have to carry more than one pair of glasses with you every day because you will no longer need your prescription safety glasses and your prescription sunglasses because you will have one pair of glasses that will act as both. How Will Transition Safety Glasses Help Me? When the rays of the sun are beaming right in your face, do you find it difficult to remain focused on the task at hand? Do you spend the majority of your time trying to figure out how you can avoid working in the glare of the sun? Well, when you opt for transition lenses in safety glasses, you will not have to do this any longer because your lenses will be able to adjust to the sun’s bright ways and protect your eyes. Will Transition Lenses Help Me During Cold Weather? You will quickly discover that the transition lenses in your safety glasses will actually turn their darkest color when the weather is cold. Once you enter a building and you are no longer near the UV light, it may take your lenses a little longer to adjust to the lighting conditions. This could mean that your transition lenses may not reach their clear color instantly. Will Transition Lenses Help During Hot/Warm Weather? ith very dark transition lenses. There is a thermal effect in your lenses that is used to prevent your transition lenses from turning into a very dark color when the weather is hot. When Should I Wear Transition Lenses In My Safety Glasses? 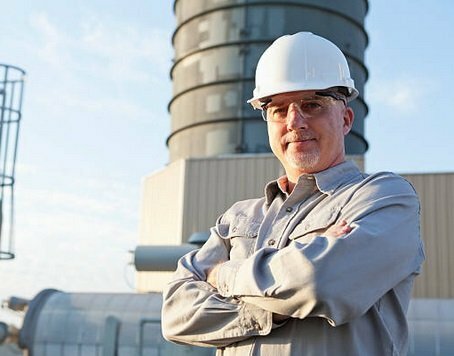 There are several good reasons why anyone would want to wear transition safety glasses, and one of those reasons is because someone is working for a long period of time in the bright lights or the bright sunshine. Here are more benefits of transition lenses in safety glasses. Transition safety glasses will have everything you need in a pair of glasses that will make things easier for you. You will not have to purchase multiple pairs of glasses for different reasons. If you are one who can appreciate making your life more simple, you will appreciate everything that transition safety glasses can offer you. The technology that is being used in transition lenses continues to improve. The transition lenses are now being created using lens material that is so lightweight that they can easily adjust to any lighting condition faster than you can walk outside, walk through the parking lot, and get into your car. The transition lenses can become dark or light to the smallest change in whatever environment you are in. You will not have to worry about your lenses being too light or too dark for the type of environment you are in. You should think about investing in a pair of transition safety glasses that will protect you from the above three things. If you like having multiple options when you have to choose anything, you would love the variety of options you will have when it comes to transition safety glasses. Transition lenses will come in a variety of colors and styles; this means you will be able to choose a pair that matches your preferred style and your personality. You will no longer have to make a difficult decision when you are trying to decide between comfort, safety, or ability. Transition lenses have a variety of capabilities that will enable the colors to look more clear to you. When everything looks sharp and clear your entire field of vision will be increased. We already mentioned that you will no longer need to have more than one pair of glasses when you make the decision to wear transition lenses. This means that you will be able to save money that can go towards something else. With one pair of glasses that can do it all, you will appreciate the amount of money you can save by not having to make more than one purchase. Since you will no longer have to worry about switching your glasses once you arrive to work, you will be able to instantly focus on doing your job for the day. You will no longer be bothered by the light that tries to get into your eyes because transition lenses will allow you to focus on what you are doing at the moment. Anyone who will be exposed to sunlight while working should always protect his/her eyes while working because of the risks of working in under the harmful UV rays. UV rays can cause a variety of problems that many people are not aware of. This is why so many people just like you are switching to safety glasses that have transition lenses. 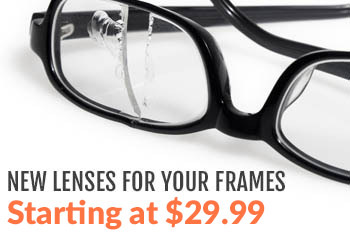 However, there are times when the situation or work environment will call for a pair of glasses with clear lenses. Those who need to wear prescription safety glasses or non-prescription glasses for their field of work can significantly benefit from wearing transition lenses in their safety glasses. We encourage you to take some time to understand how transition lenses work and what they can offer you. Understanding the basics of transition lenses will help you make the right choice when you are looking for the pair that is right for you and your needs.With the right pair of transition lenses, you will be able to reduce eye strain and fatigue. Regardless of what age group you are in, we know that transition lenses will have a positive impact on your vision and your lifestyle. Thankfully, you will not have to go on this purchase journey alone. There is a solution to your needs and we want to help you find that solution. We encourage you to make sure you have all your question answered by your healthcare professional so you will have a better understanding of what type of safety glasses will be best for you. Are you ready to find out what transition lenses can do for you and your lifestyle? Are you worried that you may not be able to adjust to the change in glasses? Do not worry because we are here to help you. There are a variety of styles, colors, and features that we are sure you will love. You will not have to settle for a certain pair of safety glasses that you may not like or that may not give you the level of protection you need. You will now have a pair of glasses that will give you all you need and more.